Loan sharks illegally withholding identity documents may have prevented some people from voting in Wednesday’s election, but it is uncertain how widespread the practice was. In a statement issued by the ANC on Monday, ANC spokeswoman Jesse Duarte said the party had noted the continued illegal business conduct by some micro-lenders in retaining the identity documents of their clients. The party urged all people affected by the practice to go and collect their identity documents and press charges with the police if they encountered problems. But in Doornbach informal settlement near Milnerton in Cape Town on Tuesday, one loan shark freely displayed 15 identity documents he said he was holding because people owed him money. The man refused to be named because he said his business was unlicensed and he feared the authorities would crack down on him. He said it was normal practice for loan sharks to confiscate the documentation of people who owed them money. 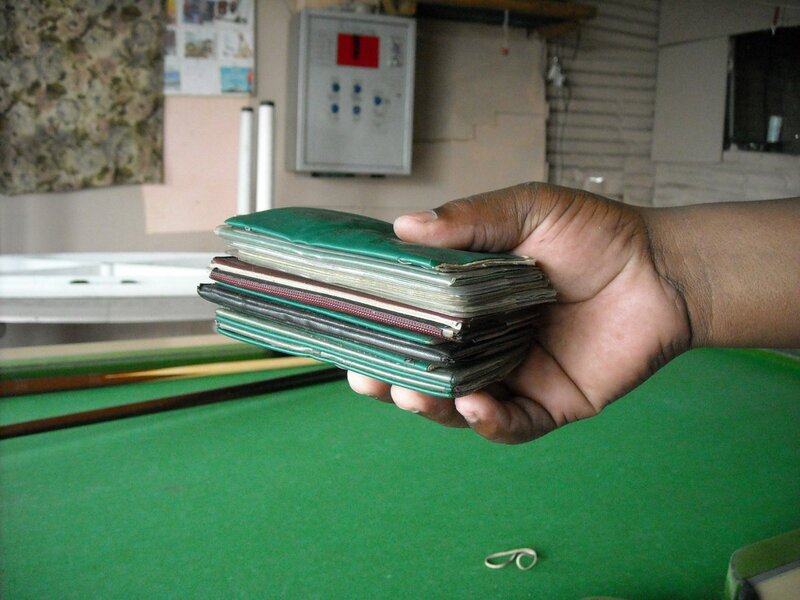 In Khayelitsha, one woman, who did not want to be named, said before Wednesday’s poll that her identity book and bank card had been taken by a loan shark after she had borrowed money. “It’s not fair that Umashonisa [loan sharks] take away our ID books,” she said, adding that she was unsure if she would be able to vote. Independent Electoral Commission (IEC) Western Cape provincial electoral officer Reverend Courtney Sampson said it was not clear how widespread the practice was. He said, however, that the issue was “something that is raised at every election and was brought to light once again in this election”. Sampson said although the Electoral Act 73 of 1998 did not address the issue of loan sharks withholding IDs, it did however say that that “you must not hinder people free access to voting”. National Credit Regulator (NCR) investigations and prosecutions manager Advocate Jan Augustyn (subs: Augustyn) said it was a criminal offense in terms of the National Credit Act to retain IDs and or bank cards. He said the NCA called for imprisonment of 12 months in jail or a fine if micro lenders were convicted. I am painfully aware that many South Africans have been exploited by Loan Sharks and this is still continuing. Do you think that enough has been done to educate the consumer on the impact of short term loans and the exhorbitant interest that is being charged. We (Sanlam) are trying to breach this gap with educational seminars. But, there seems to be some lethargy on behalf of Employers to assist their employees.